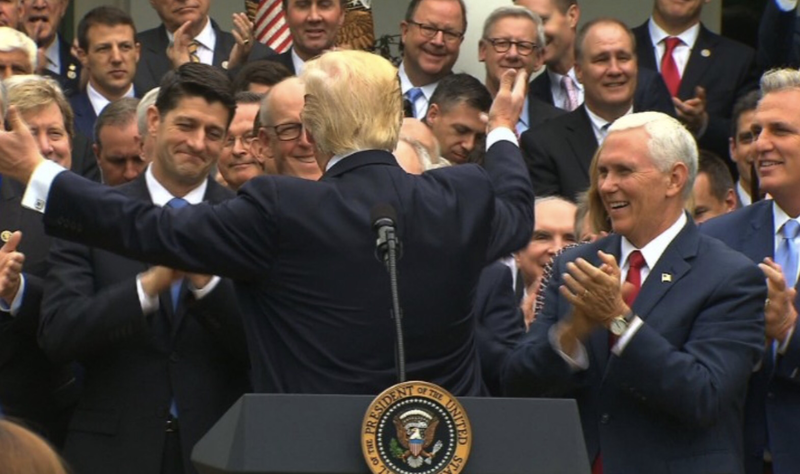 The fate of America’s healthcare system on Thursday came down to four votes: 217 House Republicans to repeal the Affordable Care Act and replace it with the latest version of the much-maligned American Health Care Act, while 213 votes against it. After public outcry against the bill, in the end, twenty Republicans voted against it, but those votes were not quite enough to stop the bill from moving on to the Senate. The first version of the AHCA failed last month because of opposition from both moderate Republicans and the far-right Freedom Caucus. In response, the GOP leadership made the bill worse in hopes of attracting those far-right votes. For one, the bill guts the ACA’s rule that states require insurance companies to cover people with preexisting conditions. This was a central tenet of the ACA that gave millions of high-risk patients access to health care at a reasonable cost. Now for millions of people, access to health care is now at stake. Instead, the bill sets aside $8 billion over five years to cover the high-risk pools including those with preexisting conditions. That small amount of money, though, is in no way expected to make up for the difference. This is the provision of the new healthcare bill that has attracted the most attention—and fury. When the Congressional Budget Office assessed the last version of the bill, it estimated that 24 million Americans would lose their health coverage. Though the bill has since changed, those numbers are likely to be similar. The bill still needs to pass the Senate. From there, the Senate could either approve it, reject it, or change it and kick it back to the House. Any way you slice it though, today marks a giant step in the wrong direction for the American healthcare system. In other news, Trump also signed an executive order giving churches more freedom under IRS rules to manipulate elections. Oh wait – yes, Christians only. Fortunately, LGBT was not specifically called out – much to the dismay of the NOMs of the world. More here. Tags: Donald Trump. Bookmark the permalink.